There are days when your mind is filled with reflections on all there is around you. Today was such a day. Once again, I find myself struggling not to respond to certain posts by certain people on certain topics that certainly are offensive and wrong. Fighting inner feelings that don’t need to be aired and remembering that what sways and moves people is a reflection on them but what I post would be a reflection on me. So, I’ll hold my hopes, my anger, my thoughts, and my reflections. I’ll focus on the life God has granted me, the blessings that are most important. And yes, I think that God rewards us in this world – so if you feel blessed, rewarded and rich…you are. Daily, I look at my children in awe, my grandchildren…I am blessed, so blessed – in life, in love. I live in the country of my dreams, in a beautiful house with a beautiful man. So, I will not respond to the transgressions of others. I have to…I do…trust God to watch over this world and I know, in the end of our lives, God will reveal to us the whys. And so this is what I will do. This week, last week, next week. This is my job in this world…to raise my children, to help with my grandchildren, to do the good things within my reach, to learn from those who do a better job than me and emulate as much as possible.so that hopefully others will see me as a model too. 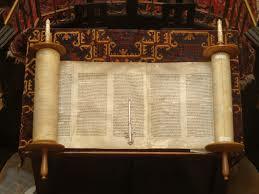 Long ago, Moshe Rabbenu, Moses our teacher, received the Torah. Eternally, we honor and keep these laws and pass them to our children. If you break them in the name of keeping another law, you’ve missed the point. It is not for us to judge how God rates His laws. And so, Friday I baked 100 challah rolls…50 for this past week and 50 for next week going to a rehabilitation/old age home in our city. As always, this is an act of compassion, fulfillment of God’s rule to share the bountiful, to care for our brothers (and sisters). 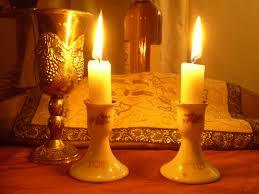 On Friday night, I lit the Shabbat candles and I honored the Sabbath, as God commanded the Jewish people. And on Shabbat morning, I went to the synagogue because community is very important to the Jewish people and I prayed. This too is a mitzvah. We had a wonderful lunch – my husband and our two youngest children. And it was a wonderful, quiet Shabbat. And today, as I work, I gather my reflections in my mind. For now, I think about how negativity can drown you, anger and resentment can fill the darkest places of your soul…until you remember. No, God doesn’t require you to fight all levels of evil. Honestly, it’s enough to do right and be an example. The Day of Reckoning draws near…I can’t imagine how some people will explain the things they are doing but I’m grateful not to have to be there to listen. Sure, I’ll have my own reckoning….and on that day, I pray that the actions I take, the words I say and the ones that I write, are the ones that God will find favor in. Ultimately, that is all that a person can do – that and recognize the blessings. OMG, the blessings…please let them continue. Let each promise be fulfilled. The sun is shining in my beautiful country. Outside, I hear the birds as the leaves flutter in the gentle wind. Blessed to live in this land, to see the next generation being born. To see your children become parents…these are the blessings in our life. So let the betrayals slip away, let those who commit wrongs in the name of misinterpreted rights disappear before my eyes. Today is the first day…as tomorrow will be. Each day anew – in this land.